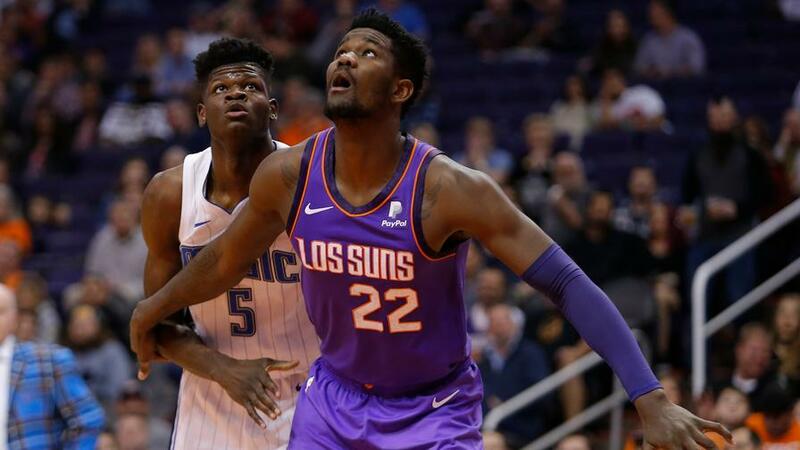 Deandre Ayton appears to have hit his first rookie wall, but he's shown flashes of fantasy brilliance early on. Which other moves should you be looking to make in season-long fantasy hoops? Deandre Ayton has hit his first rookie wall. Over his last five games, he's been the 109th-ranked player in nine-category leagues, averaging 14.3 points, 0.0 three-pointers, 9.3 rebounds, 2.3 assists, 0.3 steals, 1.0 block, and 1.5 turnovers in 26.9 minutes per contest, while shooting 54.1% from the field and 60.0% from the free throw line. Compare that with his first 21 games, in which he was the 36th-ranked player with averages of 16.3 points, 0.0 threes, 10.4 rebounds, 2.5 assists, 0.7 steals, 0.9 blocks, and 2.0 turnovers in 32.1 minutes, plus a shooting split of 61.3% from the field and 78.6% from the line, and it's not hard to see the buy-low opportunity. Last Thursday, Ayton came off the bench for the first game of his career, backing up Richaun Holmes. An unceremonious three minutes passed in that one before Ayton was subbed into the game, and he started the very next night. His minutes are down over the last five games as well, but that's a direct result of the Phoenix Suns suffering four consecutive blowout losses by a minimum of 17 points before a four-point loss last night. With the reduced stats, temporary benching, and lowered minutes, you've got plenty of ammunition to buy low on the breakout rookie. He's got a very high ceiling and a lot more season left to prove what he can do, so jump on this mini-slump before he breaks out of his funk and the price goes back up. Kyle Lowry has been a tale of two seasons through his first 27 games. He had a blazing hot start to the year, ranking ninth in nine-category leagues over his first 13 games with averages of 17.2 points, 2.5 triples, 4.2 rebounds, 11.0 assists, 1.5 steals, 0.5 blocks, and 2.7 turnovers in 33.5 minutes per contest, and a shooting split of 49.7% from the field and 81.4% from the line. In his 14 games since then, he's been the 98th-ranked player, averaging 10.4 points, 1.7 triples, 4.6 rebounds, 9.1 assists, 1.1 steals, 0.4 blocks, and 2.9 turnovers in 34.7 minutes per contest, while shooting 34.3% from the field and 86.7% from the line. Lowry probably isn't the first-round guy he was over the first dozen or so games of the season, but he's also not the borderline top-100 guys he's been since then either. He's ranked inside the top-30 in nine-category leagues for five years running, and there's no real reason to think he's about to drop off. To wit, he's still ranked 28th overall, while leading the league in assists with a career-high 10.0 per contest. He's often overlooked when talking about the top point guards in fantasy hoops, but he very much belongs in the conversation each and every year. 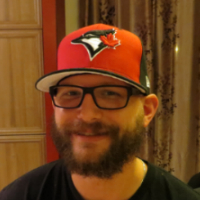 If you can use his current slump -- including a zero-point performance on Sunday -- to buy low, good on you. Joel Embiid has been frustrated with his role since the Jimmy Butler trade. His numbers since then, for the most part, have been similar, but he has admittedly been in a bit of a slump over his last four (with a game missed for rest in between). Over that span, he's been the 170th-ranked player in nine-category leagues, averaging 16.3 points, 0.5 threes, 12.3 rebounds, 2.8 assists, 0.8 steals, 2.0 blocks, and 2.8 turnovers in 32.3 minutes per contest, while shooting 34.5% from the field and 67.6% from the free throw line. Compare that to his seventh-ranked performance over his first 23 games, on the strength of 28.0 points, 1.3 threes, 13.3 rebounds, 3.7 assists, 0.5 steals, 2.0 blocks, 3.2 turnovers, 47.4% shooting from the field, and 80.7% from the line, and it's easy to see why he isn't all that happy right now. But Embiid's a league-winning fantasy asset when healthy, and he's been that the entire season to date. He missed that one game for rest and nearly missed another last night for a migraine that caused him to miss practice on Sunday, but starting the season with 26 consecutive games played was a big step for a guy that played only 94 games over his first 4 seasons in the league. Butler hasn't really taken that big of a bite out of his production either, so you can probably use this mini-slump and brief period of negative attention to buy low on the dominant big man. Lonzo Ball has fallen off a cliff this season. 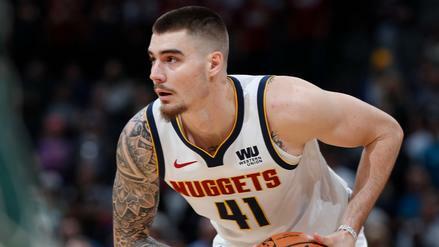 After finishing his rookie campaign as the 78th-ranked player in nine-category leagues, he has followed it up with a 145th-ranked sophomore season to date. Through 27 games, he's averaging 8.3 points, 1.3 threes, 5.1 rebounds, 4.7 assists, 1.4 steals, 0.3 blocks, and 2.0 turnovers in 28.2 minutes per contest, while shooting 38.3% from the field and 56.5% from the free throw line. Other than the shooting split being up from 36.0% and 45.1% last year, respectively -- and really, how could it go any lower -- all of Ball's counting stats are down across the board, with the most notable drop-off being his 6.0-minute-per night dip in playing time. With his efficiency being so low at the best of times, if he's not producing popcorn numbers across the board, he's barely worth owning. His minutes have been up to 32.7 over his last six, but he's still only managed to post 106th-ranked nine-cat value over that span, and that playing time boost has largely come from the absences of Rajon Rondo (hand) and Brandon Ingram (ankle). 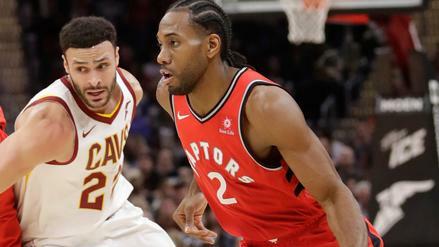 As the Los Angeles Lakers get healthy and/or look to add pieces to their team via trade, there will be fewer and fewer opportunities for Ball to fill up the box score. Selling low is not always the best strategy, but this situation is likely to get worse before it gets better. You can probably still sell him on his name, age, and draft pedigree, so get 'er done while you still can. Nikola Mirotic, who is in the midst of a breakout season with his current 30th-ranked value in nine-category leagues, has missed two games so far in December due to an illness, and then left Monday night's game with a sore right ankle. The biggest beneficiary of Mirotic's erratic availability as of late has been Julius Randle, who has started five consecutive games in place of Mirotic, and has really gone off. Over that span, he's been the 35th-ranked player in nine-category leagues, averaging 27.6 points, 1.2 threes, 11.2 rebounds, 3.4 assists, 0.4 steals, 0.4 blocks, and 1.8 turnovers in 34.3 minutes per contest, while shooting 59.3% from the field and 64.9% from the free throw line. If you can, you should be looking to use Randle's current hot streak as a sell-high opportunity. Prior to this five-game explosion, Randle was merely the 101st-ranked player in nine-category leagues through his first 24 games (with only four spot starts), adding very little beyond 17.5 points, 9.0 rebounds, and a 54.3% field goal percentage. Mirotic's eventual return will make it hard for Randle to keep getting a full complement of minutes, and there aren't enough goodies in his line outside of points and boards to give him a ton of value when the playing time isn't there. Nicolas Batum might very well be washed. He's started every single game for the Charlotte Hornets so far this season, but he's only been the 127th-ranked player in nine-category leagues, after finishing 99th last year, and anywhere from 21st to 70th in each of his eight seasons prior to then. Through 26 games this year, he's averaged 9.0 points, 1.3 threes, 5.5 rebounds, 3.5 assists, 0.9 steals, 0.5 blocks, and 1.7 turnovers in 30.0 minutes per contest, while shooting 44.1% from the field and 85.7% from the free throw line. The shooting marks are up from the last few years, but the points and assists are down and dropping. Batum's usage rate has gone from 22.2% to 18.4% to 14.1% over the last three seasons, and that trend has caused a noticeable drop-off in his counting stats. It's hard to advocate for selling low on a guy, but perhaps his near decade of mid- to early-round value can still be used as a selling point in any potential deal with someone who thinks he or she is buying low on the declining wing. 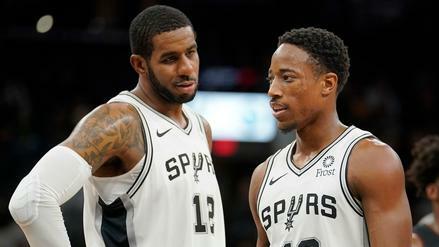 NBA Power Rankings Update: How Low Can the San Antonio Spurs Go?